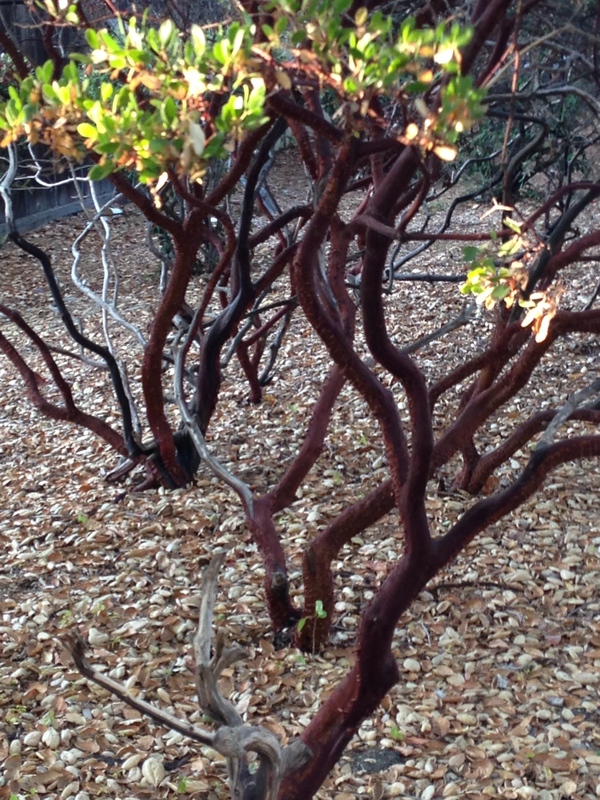 Love the manzanita. Once common, they are scarce here in the Southwest US now, as their wood just beckons artists to create with them. There are a few old growth ones that I know of. Your photos reminds me that I should visit soon, and cover my tracks behind me. 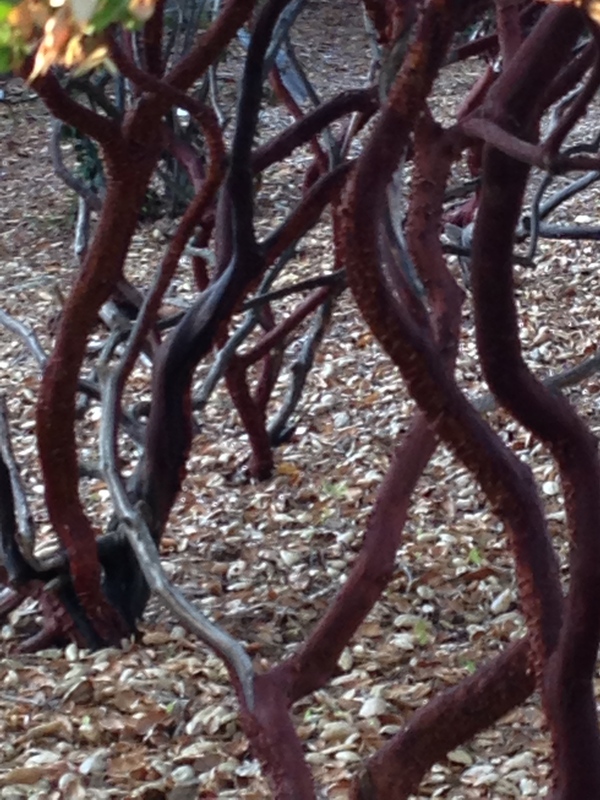 Thank you JoHanna for commenting and sharing your love of the manzanita. I would love to see the old ones. I appreciate the reminder to tread lightly. I saw these on the phone when you first posted them. They are so beautiful and other worldly. I hadn’t seen any in a long time so it is a treat to see them dancing in my neighborhood. Unusual colour gradations; I thought initially they were recovering from bush fire. May I ask what they are?